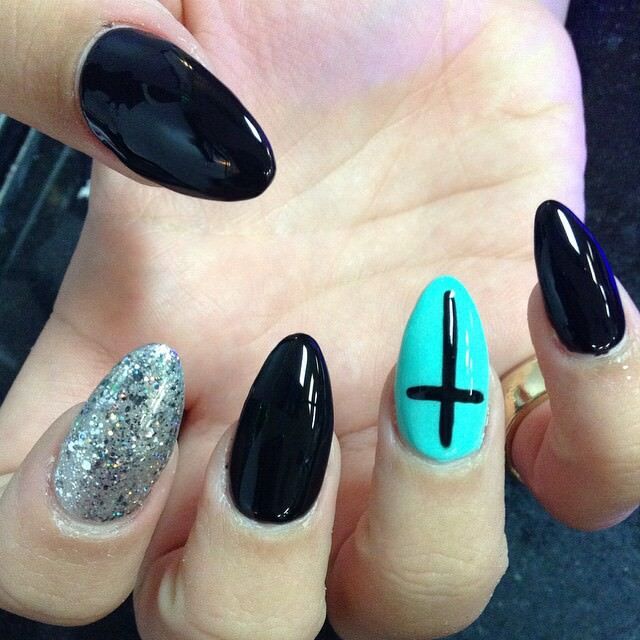 History traces usage of the cross to centuries BC. 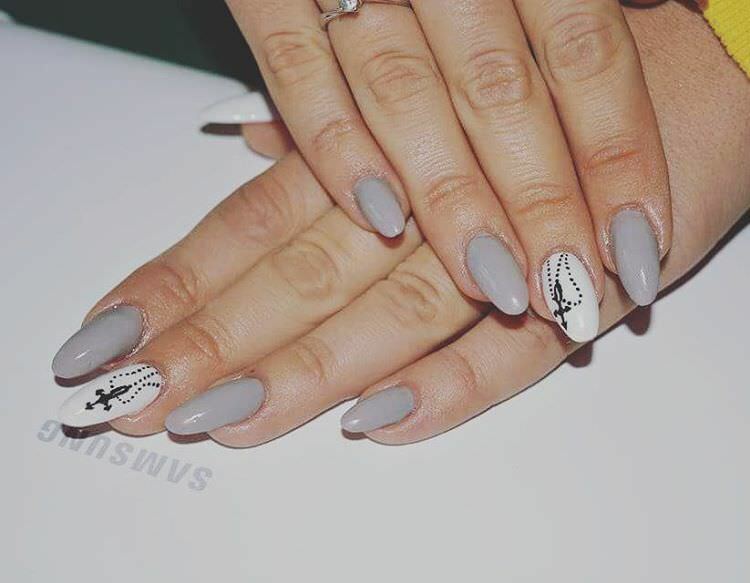 For instance, the ancient Greek goddess Diana is portrayed with a cross over her head. 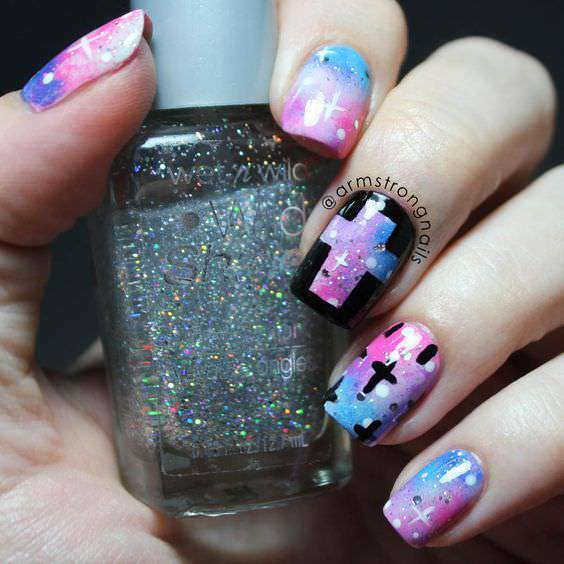 While it has such an ancient origin, the cross is of a more religious significance especially with Christians. 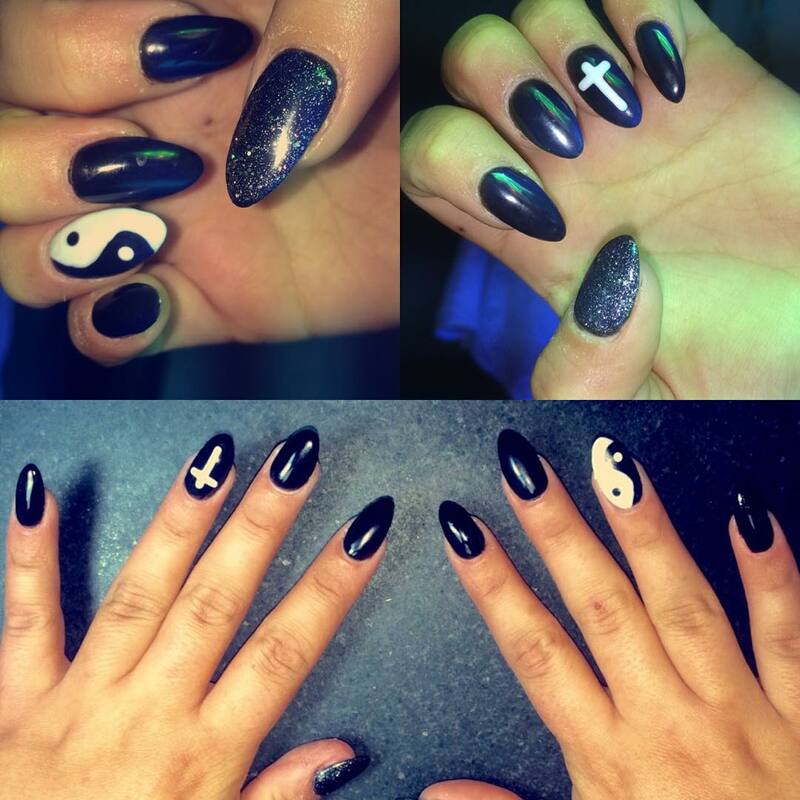 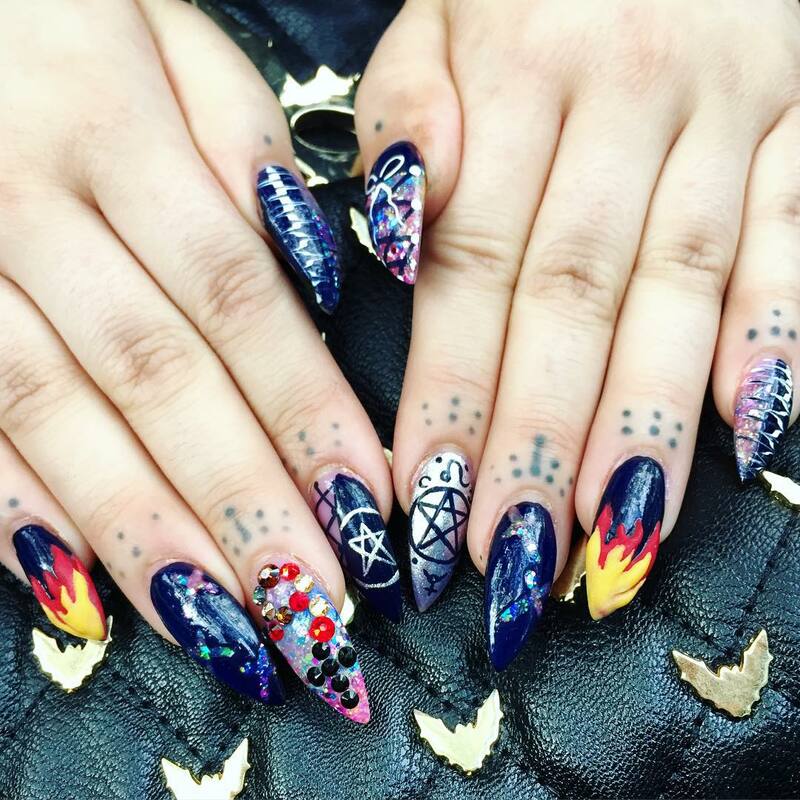 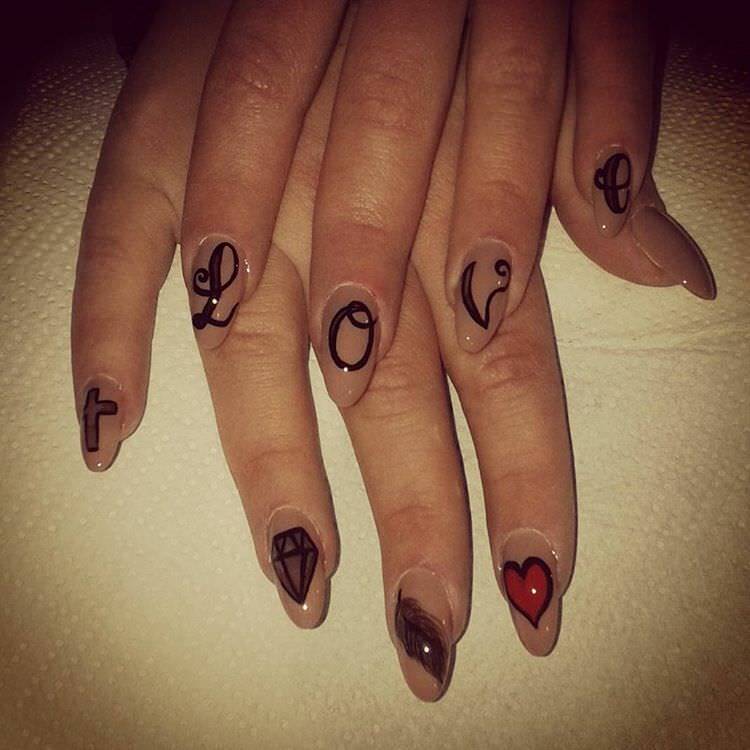 However, over time, the symbol has found much application in a number of areas including nail designs. 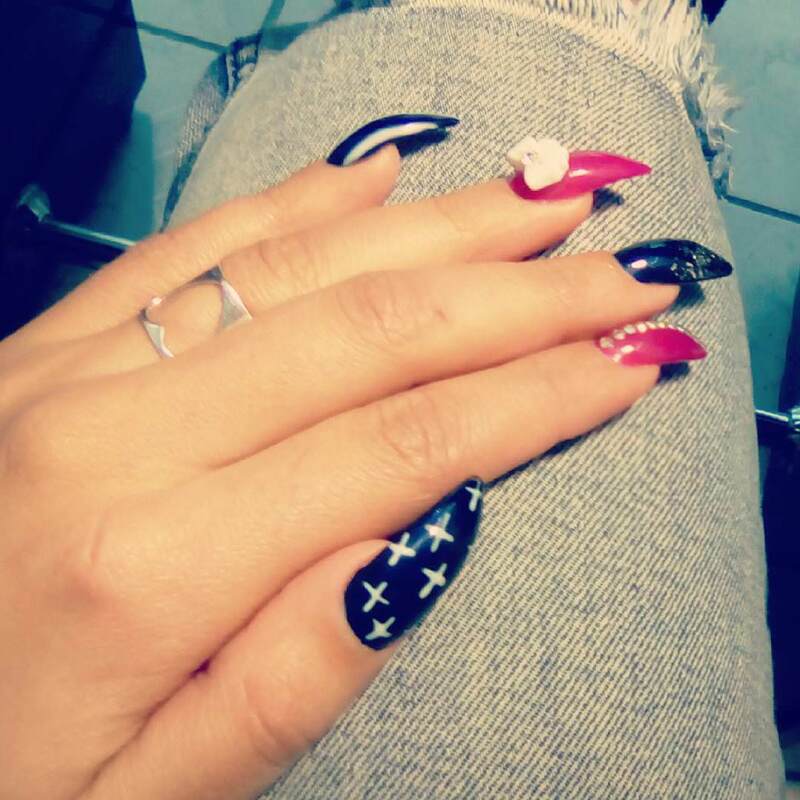 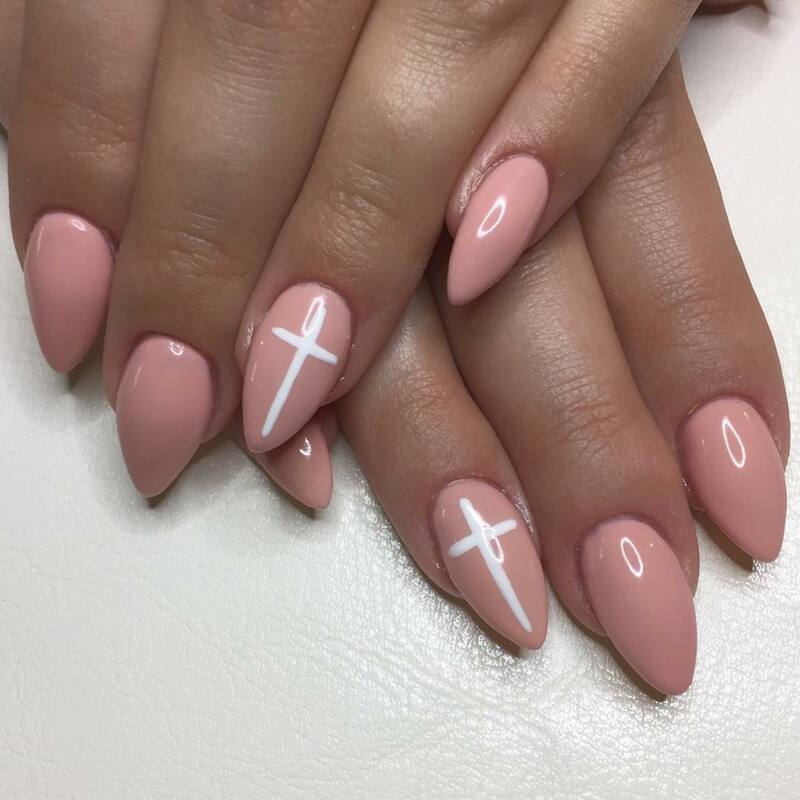 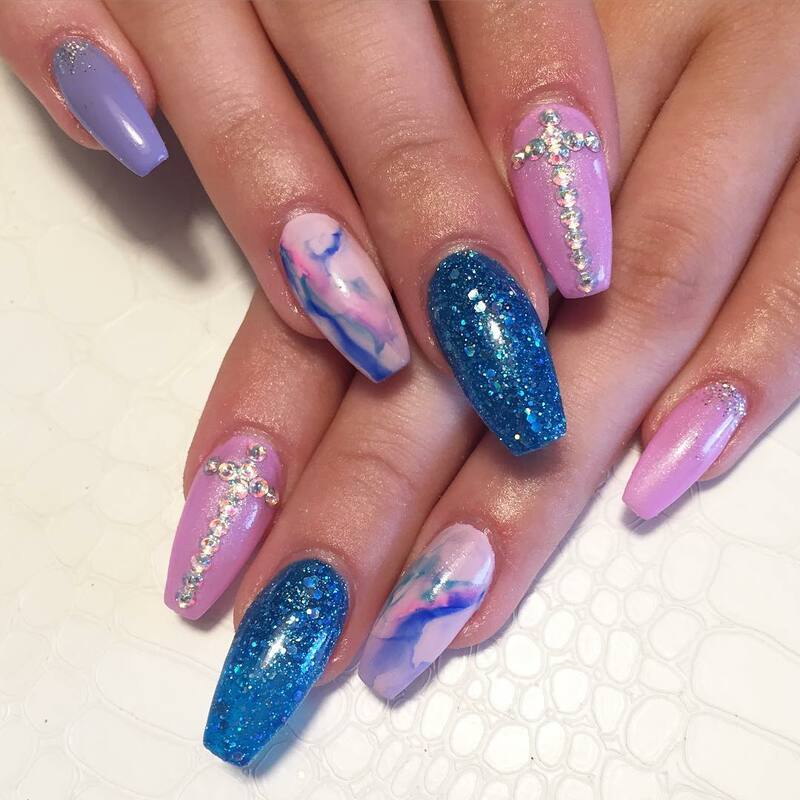 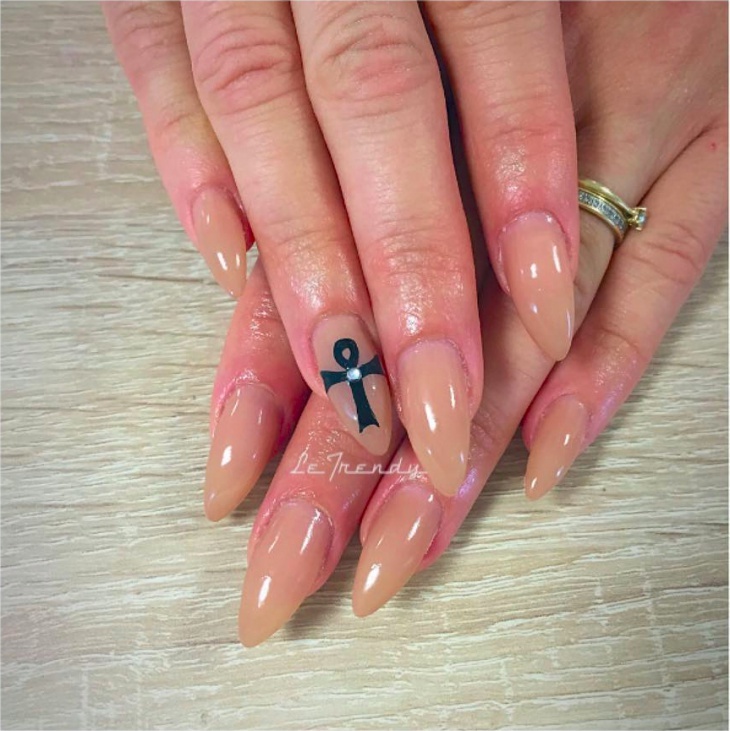 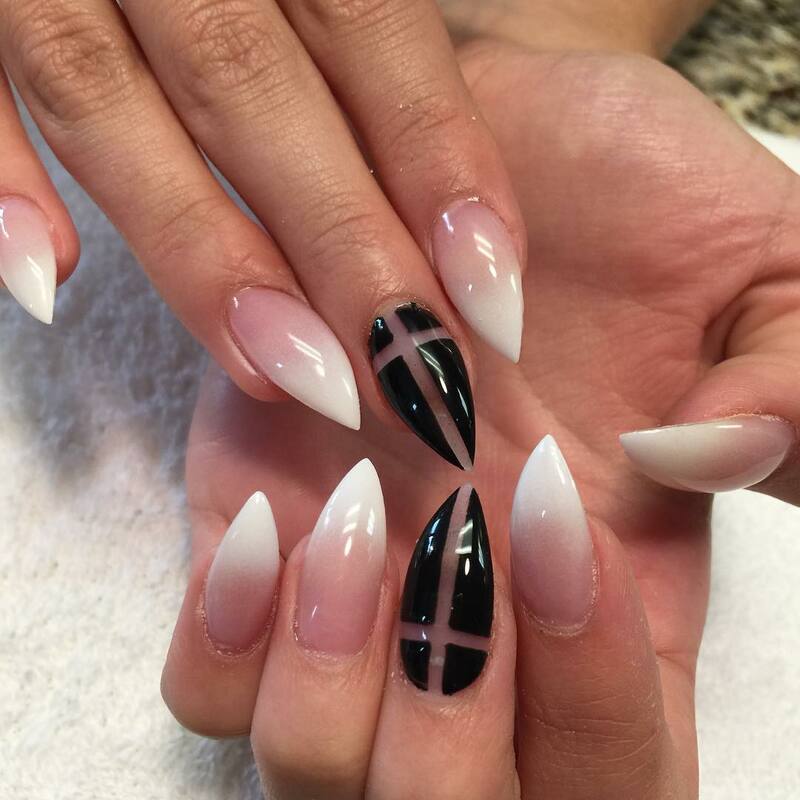 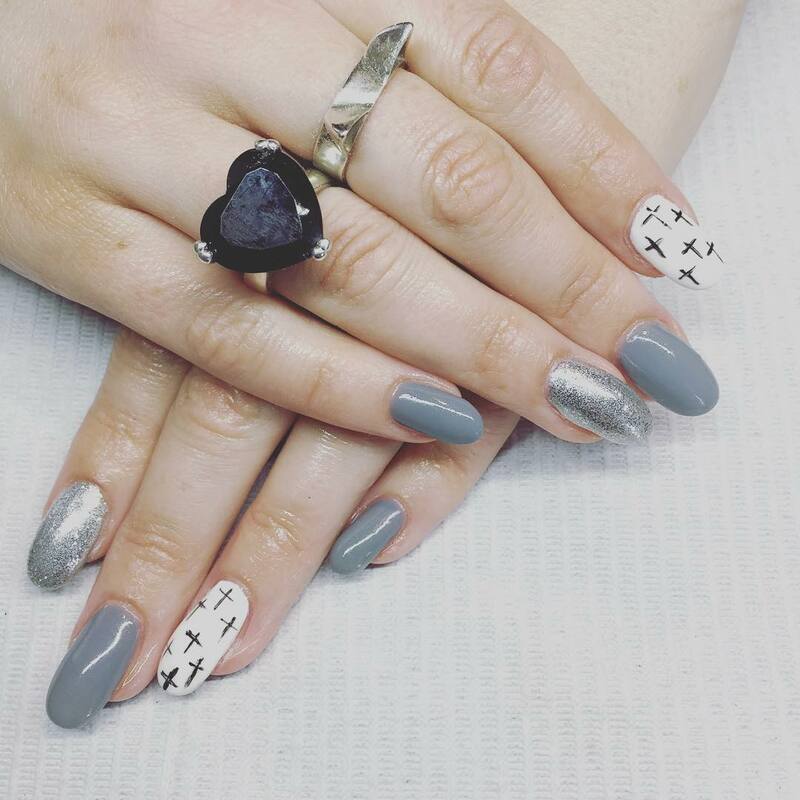 A simple design of this style could involve a single cross sign inscribed on each nail in a colour that contrasts well with that of the base coat. 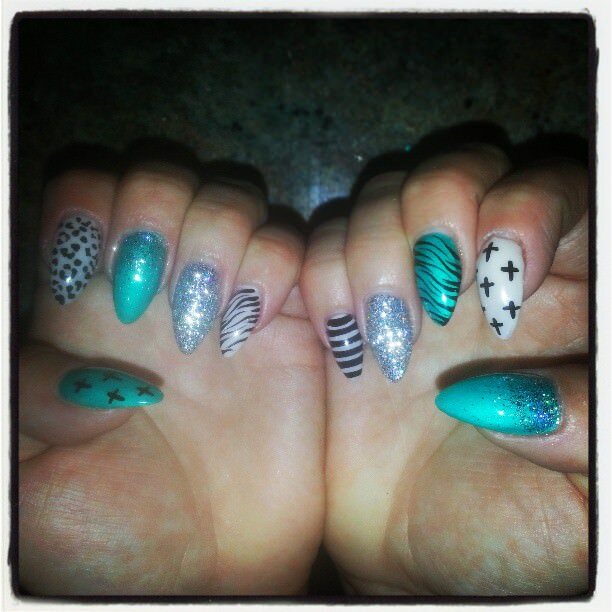 This style comes in a whole range of options given the large number of shades of nail paints that exist. 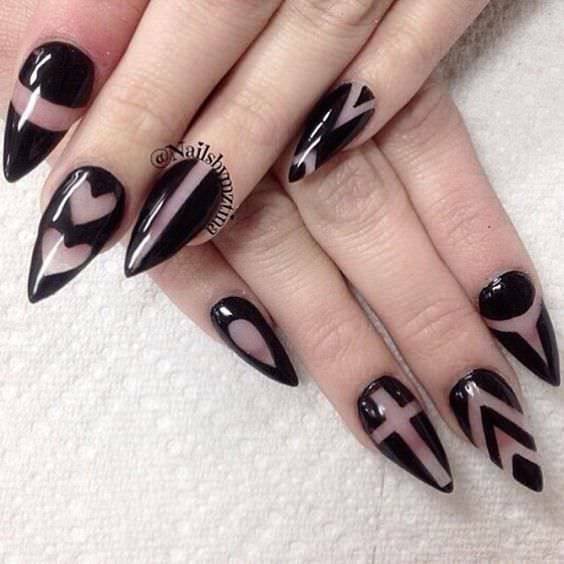 A black cross on a white base can look simple but quite elegant. 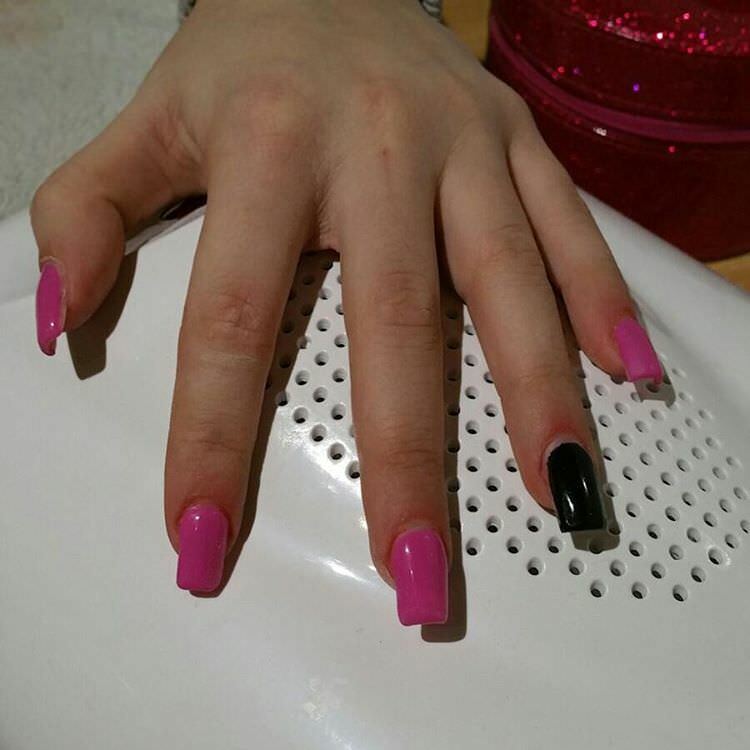 Black and pink can also form a spectacular combination. 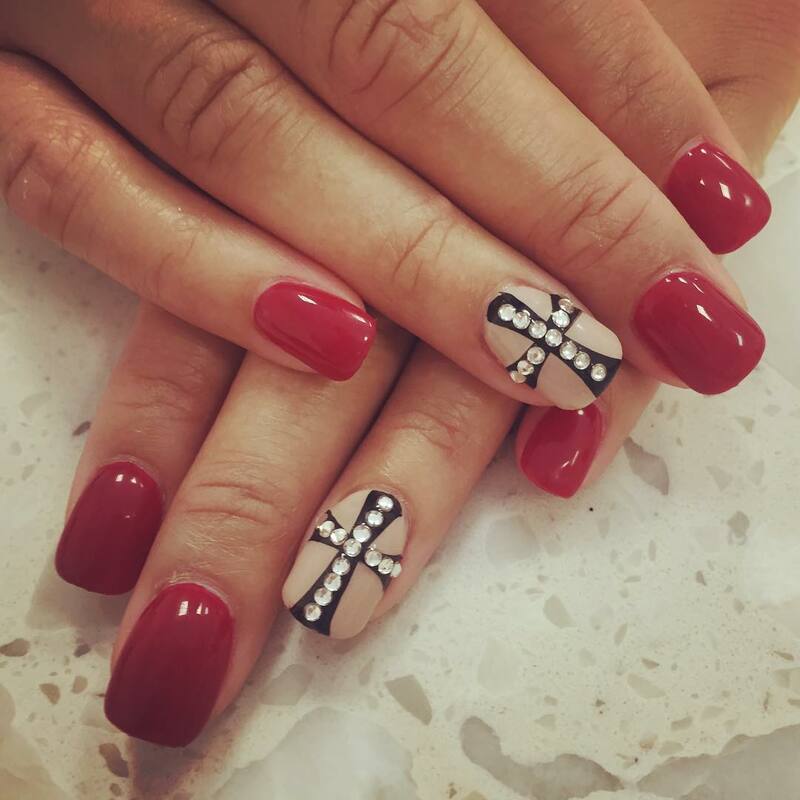 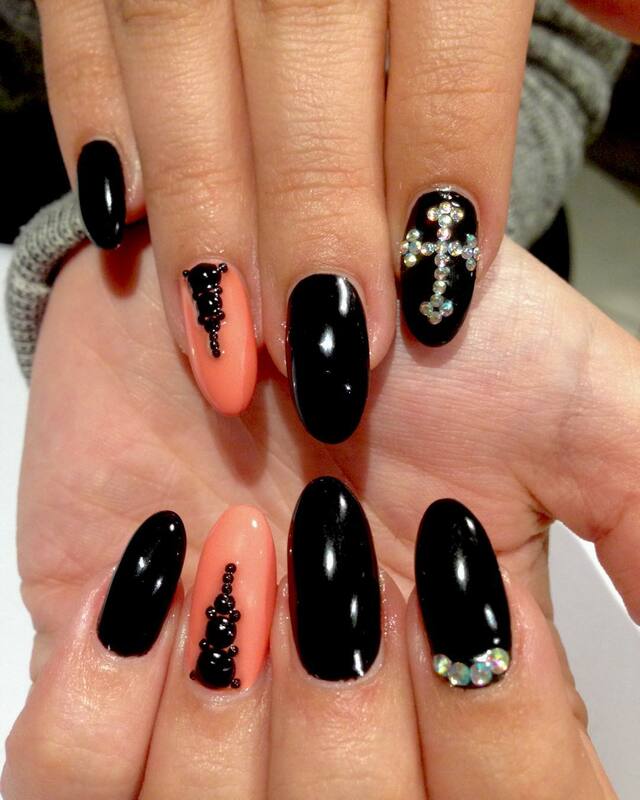 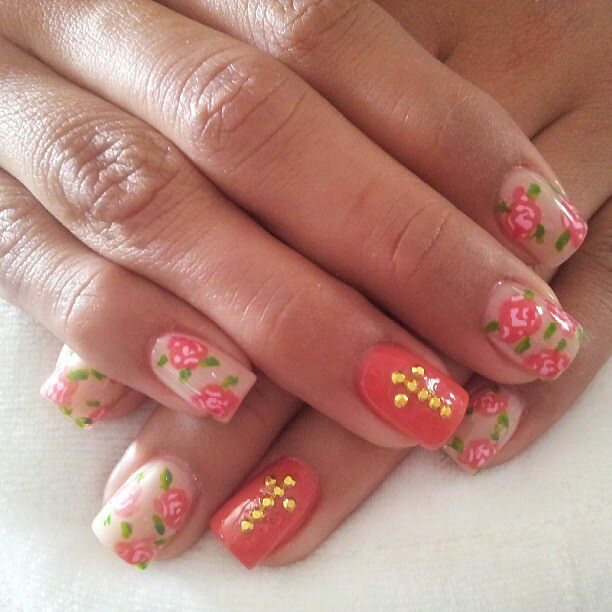 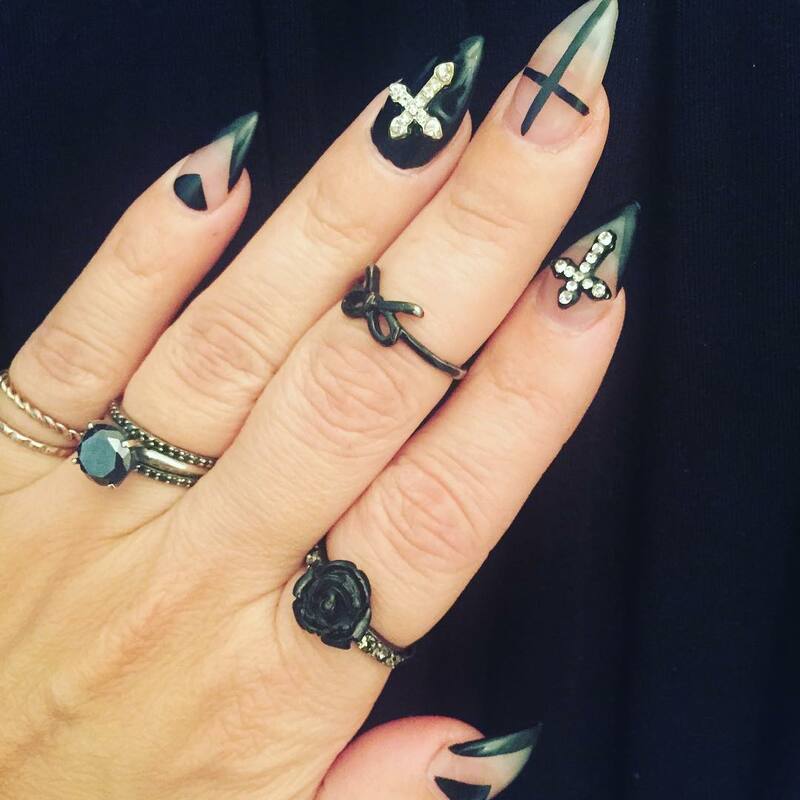 Blending crosses with other motifs can be a more intricate way of fashioning this nail design. 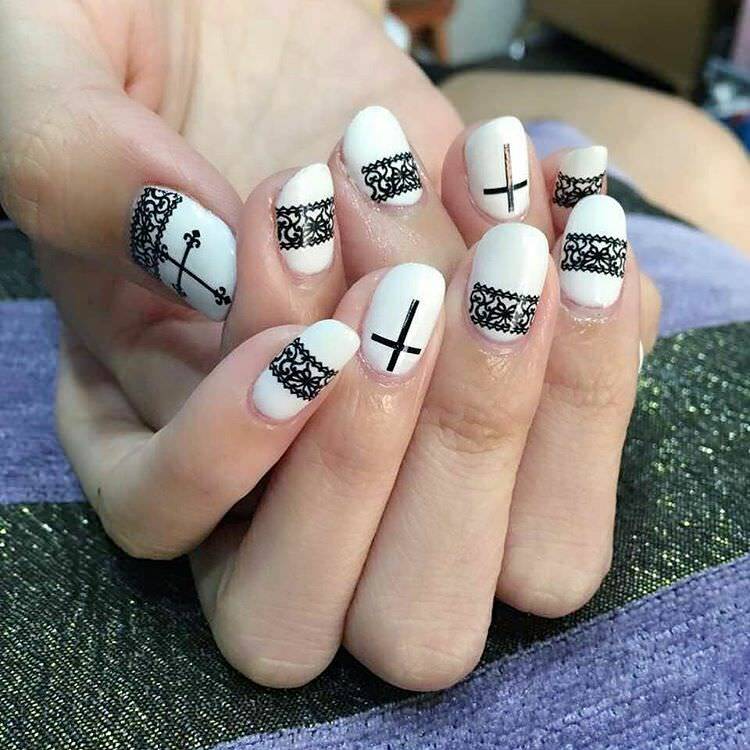 A blend of crosses, skull and rose motifs can appear quite fascinating. 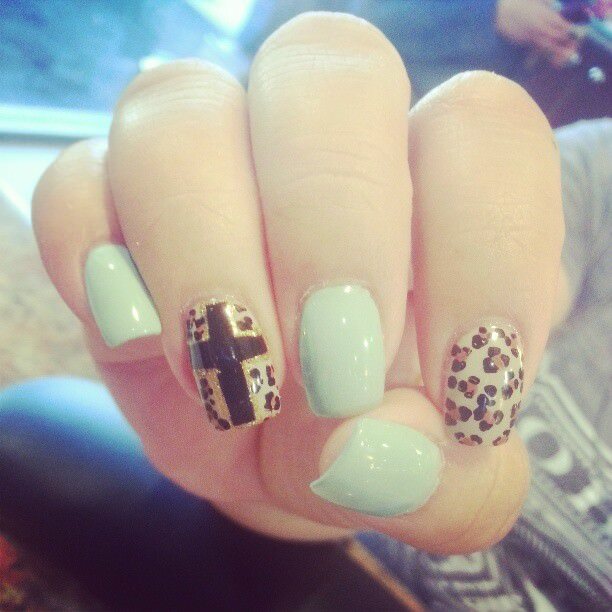 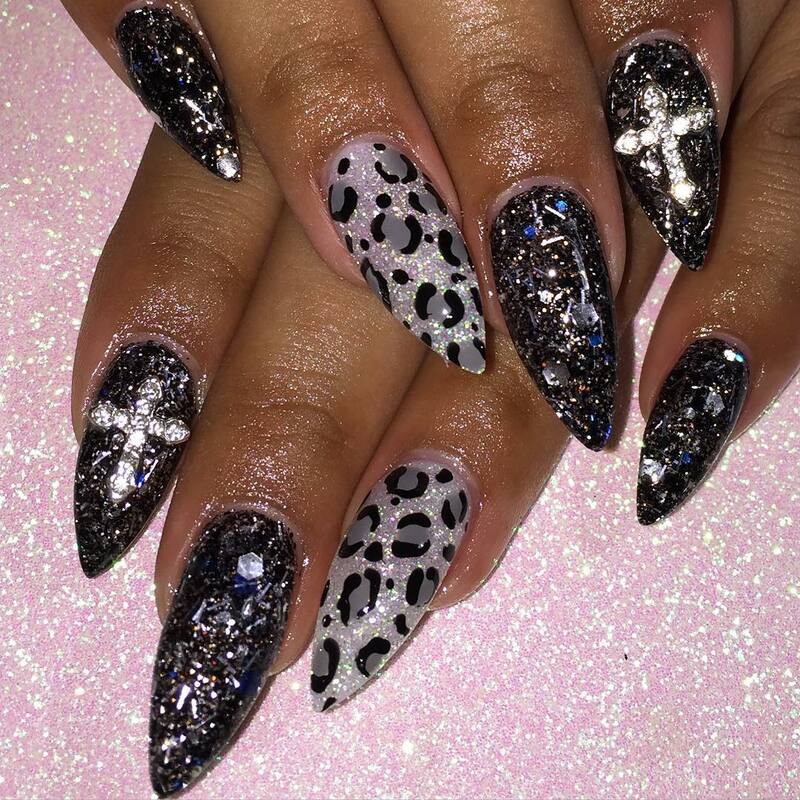 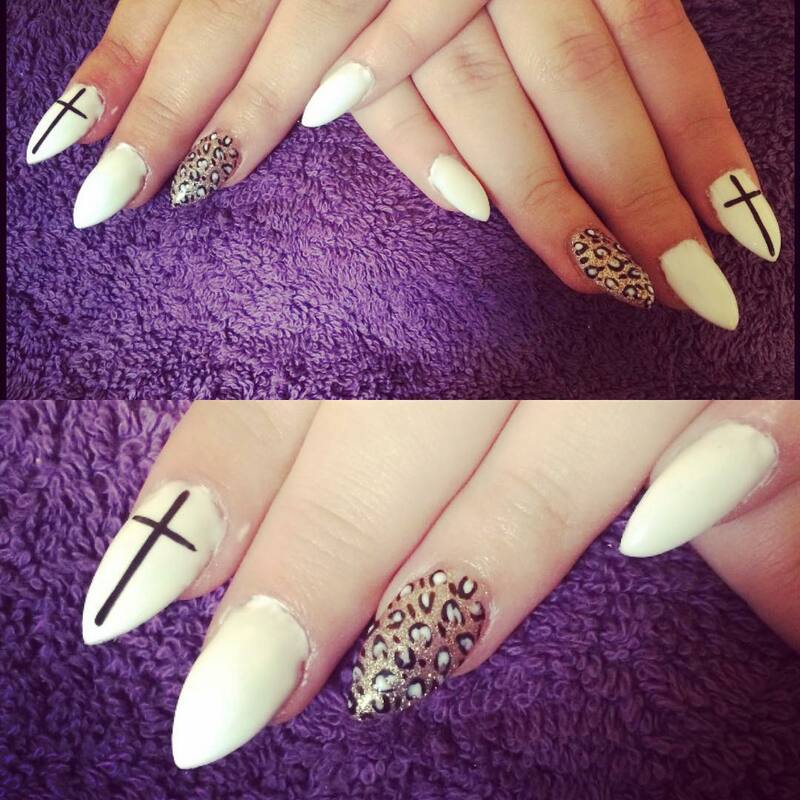 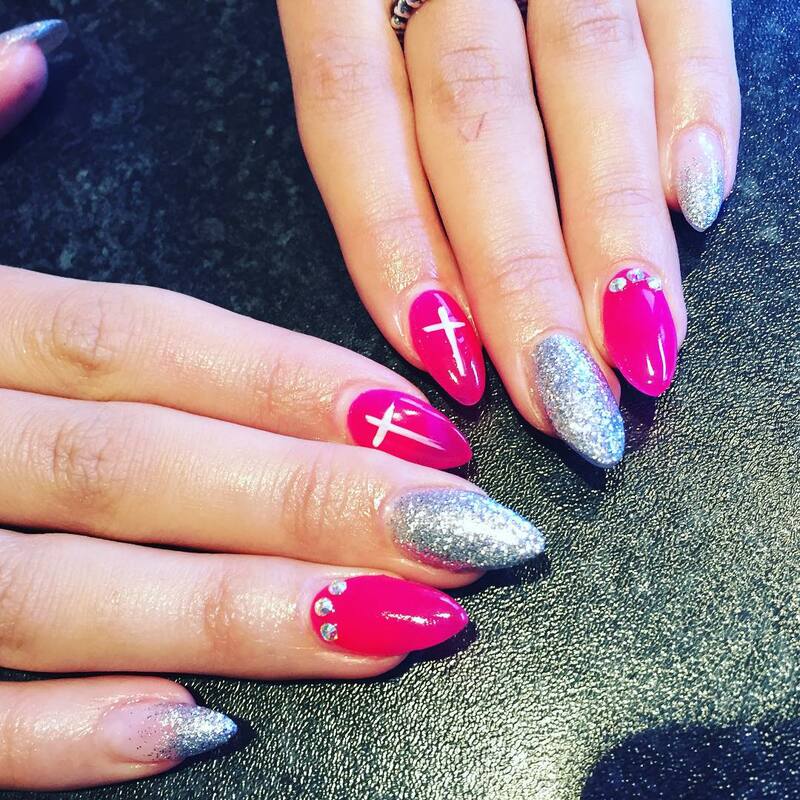 Matching leopard prints, crosses and glitter can be a great way of achieving an admirable, intricate nail art. 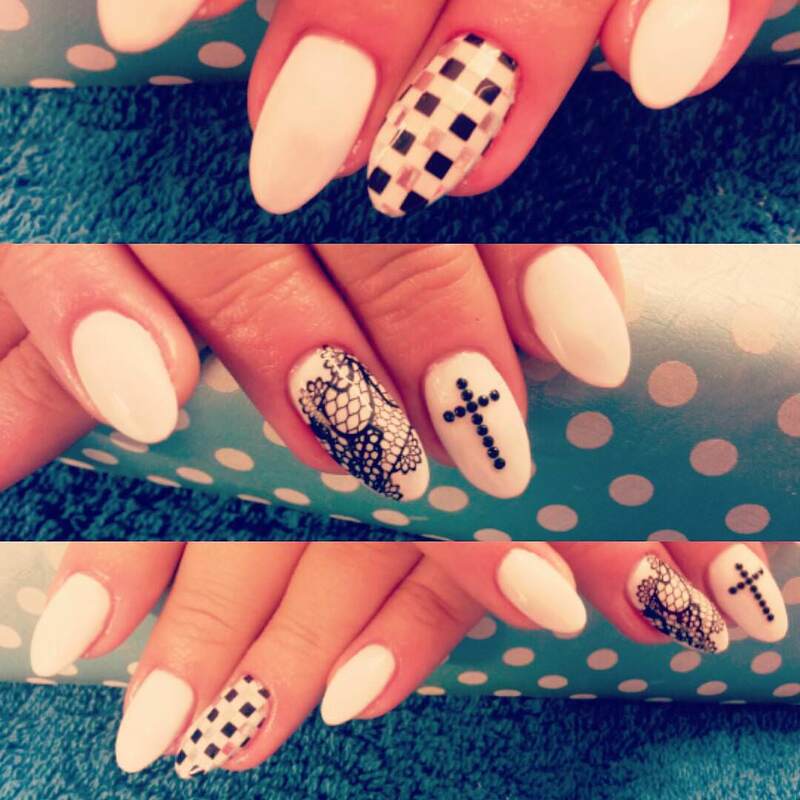 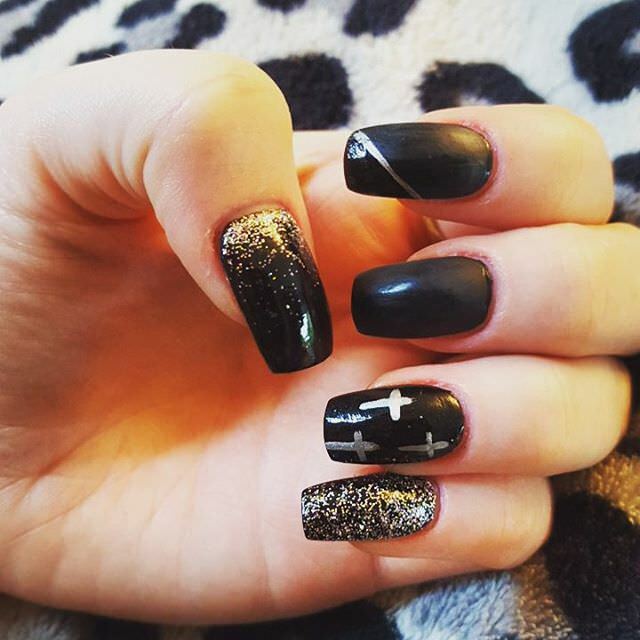 Cross nail designed with micro beads on a base polish of your own pick can be quite stylish. 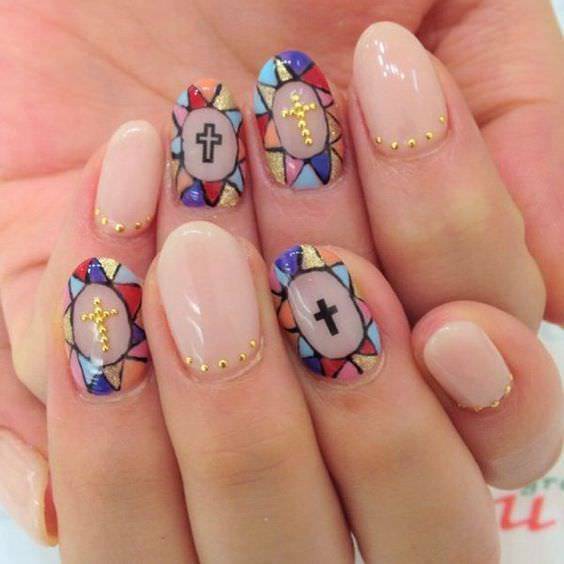 Cross and rhinestones can also be quite gorgeous.